It has been a (VERY) busy fall, but the (wonderful!) culmination of it all was last week's Leveraging Learning Institute. 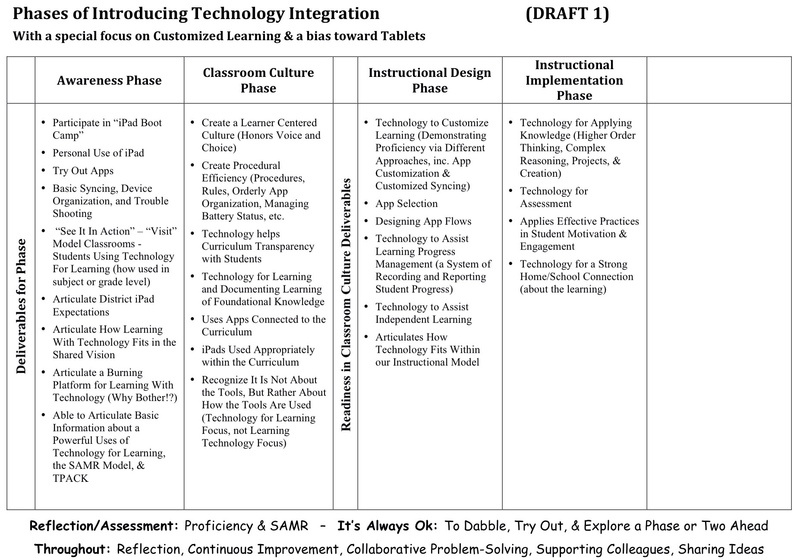 This was Auburn School Department's third year running the institute focused on lessons learned from our first-in-the-country iPads in primary grades initiative. We had about 130 participants, mostly from across Maine, but also from North Carolina, New York, Pennsylvania, and Massachusetts. Look over the whole Institute website here, but you might be especially interested in the resource documents from this year's sessions (we're still posting resources, so check back in a week or so to see what other resources are shared) or info about our presenters. This entry was posted in Advantage2014 - Auburn iPads, Technology as Tool For Learning and tagged Aubschl, Auburn, Aub_Adv2014, ECE_iPads, iPad, Leadership, Leveraging Learing Institute on November 16, 2013 by Mike Muir. Her energy and positive attitude are contagious (although there is a chance that the Energizer Bunny is exhausted by having her around! ), and her great ideas about teaching with technology are so numerous, you just can't try them all at once. But that's ok. Take your time. It's worth the investment of practice and the effort to make them part of your repertoire. This is her keynote from last year. Her slides are here. I hope you get as much out of it as we did. The Leveraging Learning Institute highlights Auburn's experience and “lessons learned” from the country's first district-wide 1to1 iPads in primary grades initiative, and helps participants learn how to successfully design and implement an iPad initiative to customize learning for students. This year's Institute is Wednesday Nov. 13 through Friday November 15, and registration is currently open. This entry was posted in Advantage2014 - Auburn iPads, Great Teachers, Leveraging Learning Institute, Technology as Tool For Learning and tagged Aubschl, Aub_Adv2014, ECE_iPads, Good Teaching, iPad, Jennie Magiera, Leveraging Learing Institute on September 2, 2013 by Mike Muir. Mauri Dufour is one of our kindergarten teachers in Auburn, an early adopter of iPads in primary grades, and is an Apple Distinguished Educator. Over the past year, Mauri has explored the role of QR codes in her classroom. Last March, she took some time to tell me about how she uses QR codes to connect with her students’ families. Despite working in a high poverty school, the QR codes have helped create much stronger parent involvement and communication than might otherwise be expected. This entry was posted in Advantage2014 - Auburn iPads, Branding and Buzz, Technology for Home/School Connection and tagged Aubschl, Auburn, Aub_Adv2014, Communication, Connecting with Parents, ECE_iPads, iPad, QR Codes on July 12, 2013 by Mike Muir.